Unfortunately it will likely have all sliders set the same: A - smiley face; B - frowney face. Both settings happen largely due either to the inexperience of the operator or a poorly designed sound system. First let’s look at the 1/3-octave equalizer and get an idea of how it can best be used. Note the photo of the 1/3-octave equalizer below, and notice the 31 sliders on the front panel. Each slider is set on a frequency. Starting at the left slider, and moving right, the frequencies begin at 20 Hz and end at 20 kHz. Look at the first slider (20 Hz) and count over to the right to the third slider, and you will find 40 Hz. This is one octave higher in frequency than 20 Hz. What that means is there are three sliders/ filters per each octave, meaning that each filter is 1/3-octave apart from the filter next to it. With this information (and what we discussed in my previous article) about where certain important frequencies are, we can better EQ our system. For example, we know that the range for vocalists is about 70 Hz for the lowest bass singer to about 1400 Hz for the highest soprano, so setting a smiley face on the 1/3-octave EQ does nothing more than boost all frequencies on either end of the vocalist range - or in essence - cuts all the frequencies where the vocals should be! Next time you can’t hear vocals in the house mix (or vocalists complain that they can’t hear themselves in the monitors), check to see if your EQ is smiling at you. It’s always my recommendation that the main house EQ, if being done with a 1/3-octave EQ, never be randomly adjusted. 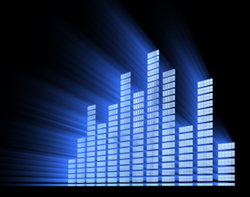 If your system was installed by a competent audio contractor; EQ should already be set for maximum performance and shouldn’t need to be changed. 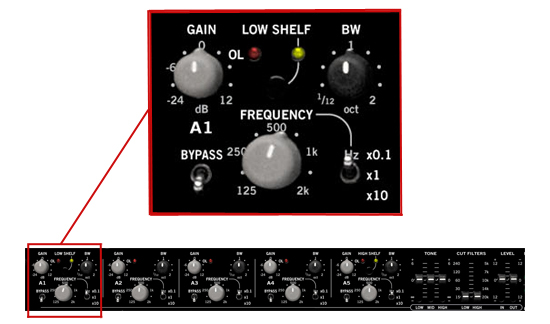 Any changes you believe necessary for improvement should be done on the EQ section of your console. However, this is not the case when using a 1/3-octave EQ for monitor mixes. Because the monitors often move to different positions on the platform, and the “set” and surroundings change as well, so too will EQ likely need some adjustment. Still, take note that major adjustments (+/-10 dB or more) shouldn’t be necessary - if this is the case, you should look at other aspects to identify potential problems. The other common type of equalization is parametric. It offers adjustable frequency filters, which means that instead of having filters on set frequencies - the case with 1/3-octave - the operator decides what frequency (or frequencies) need to be cut or boosted. And not only can you decide what frequency needs to be adjusted, you can also decide how many frequencies around the center frequency will be affected by your adjustment. Parametric EQ is not for the beginner, nor is it likely needed for each performance. It is, however, a very useful tool and one that every system operator should be familiar with. On many parametric EQs, including the one shown here, there are at least three controls. One control allows selection of the frequency at which to insert a filter. Another control allows adjustment of how wide or narrow that filter will be. A wider filter affects more frequencies around the center frequency, a narrow filter, less frequencies - more pinpoint adjustments and/or broader overall adjustments. Finally, the third control is for cut/boost of that particular filter. 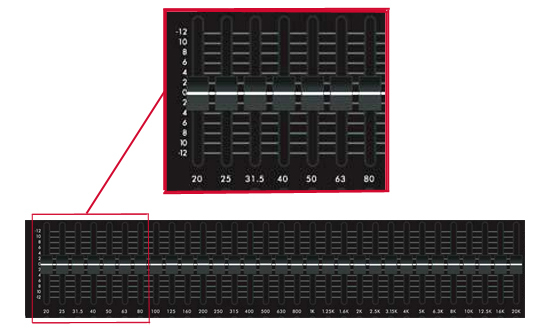 Often following installation, the sound contractor or designer will use a parametric EQ for tuning the system. This assists in identifying problem frequencies and helping to correct them without affecting the surrounding frequencies. It’s also helpful if the system needs a broad spectrum of frequencies adjusted, because this too can be accomplished using perhaps just maybe one filter. I use a parametric EQ when doing overhead miking because it helps me identify frequencies that tend to feedback too soon, so I can then set filters to notch them out. 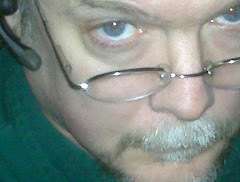 The only problem I have is finding the frequency of that out-of-tune choir member and trying to notch it out!